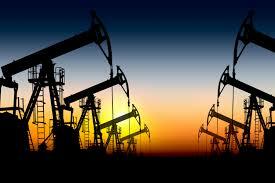 The civil war currently taking place in IRAQ will influence the world’s oil markets shown below. Little more that a year after the International Energy Agency added its voice to the chorus chiming that peak oil was dead, a new report from the uconservative adviser to industrialised nations suggests it has changed its tune. Only this time it is not peak supply that is on its radar, but peak demand. The IEA’s Medium-Term Oil Market Report 2014 has predicted that global growth in oil demand may start to slow down as soon as the end of this decade, due to environmental concerns and cheaper alternatives, and despite boosting its 2014 forecast of global demand by 960,000 barrels per day. It’s worrying news for the over-invested and under-prepared; not least of all oil importing nations, to which, as Samuel Alexander noted in this article last September, the economic costs of peak oil are especially significant. This view has been echoed in numerous recent reports. US investment banks Sanford Bernstein raised the prospect of “energy price deflation”, caused by the plunging cost of solar and the taking up of market share by that technology as it displaced diesel, gas and oil in various economies. It predicted that could trigger a massive shift in capital. Analyst Mark Fulton last month also questioned the wisdom of the private-sector investing over $1 trillion to develop new sources of high-cost oil production. While Mark Lewis, of French broking firm, suggested that $US19 trillion in revenues could be lost from the oil industry if the world takes action to address climate change, cleans up pollution and moves to decarbonise the global energy system. The IEA report also includes an updated forecast of product supply, which draws out the consequences of the shifts in demand, feedstock supply and refining capacity. “Given planned refinery construction and the growth in supply that bypasses the refining sector, such as NGLs and biofuels, the refining industry faces a new cycle of weak margins and a glut of light distillates like gasoline and naphtha as a by-product of needed diesel and jet fuel,” it says. It also predicts that “the unconventional supply revolution that has redrawn the global oil map” will expand beyond North America before the end of the decade, just as OPEC supplies face headwinds, and regional imbalances in gasoline and diesel markets broaden. The report projects that by 2019, tight oil supply outside the United States could reach 650 000 barrels per day (650 kb/d), including 390 kb/d from Canada, 100 kb/d from Russia and 90 kb/d from Argentina. US LTO output is forecast to roughly double from 2013 levels to 5.0 million barrels per day (mb/d) by 2019. Beyond ageing fields, the major hurdle facing OPEC producers is the escalation in “above-ground woes,” as security concerns become a growing issue in producers like Iraq, and investment risks deter investment and exploration. The report notes that as much as three-fifths of OPEC’s expected growth in capacity by 2019 is set to come from Iraq. The projected addition of 1.28 mb/d to Iraqi production by 2019, a conservative forecast made before the launch last week of a military campaign by insurgents that subsequently claimed several key cities in northern and central Iraq, faces considerable downside risk.